Monsignor Marcelo Sanchez Sorondo – Chancellor of the Pontifical Academy of Sciences and the Pontifical Academy of Social Sciences hosts the Global Sustainability Network ( GSN ) gathering on Tackling Goal 8 and Modern Day Slavery through Technology and in conjunction with ‘Rani’s Voice’ commemorate the ‘Freedom of Former Victims’ and announce the ongoing support of the GSN to those at the coal-face of battling Modern Day Slavery in the lead up to the ‘World Day Against Trafficking in Persons’, on July 30, 2018. 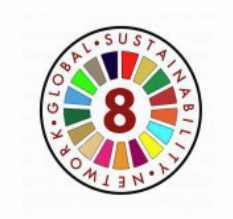 The GSN is a network of over 700 global change-makers across the Government, Business, Faith, Media, Community & NGOs and Academia sectors committed to achieving Goal 8 ( with special emphasis on Goal 8.7 of tackling Modern Day Slavery and Human Trafficking ) of the United Nations 17 Sustainability Goals. Rani Hong, is the CEO of Rani’s Voice, and President of the Tronie Foundation and a survivor of child slavery and has had the privilege of speaking at the Pontifical Academy on their plans to place a focus on refugees and how to keep them from being at risk of falling into slavery or forced labor. She advocates, campaigns and tells her personal story in lectures and presentations to bring a voice to the voiceless as an advocate for those who are still enslaved around the world. “This is why I’m telling my story today,” Hong explains, “There are millions of other individuals, like that little girl I was — imprisoned, enslaved, and silenced — unable to tell my story. I therefore speak for those without a voice”. “Today, the GSN is providing its further endorsement and support of Rani’s Voice in the call upon all that recognize the ongoing need to protect the rights of the victims of human trafficking. The GSN will continue to engage in supporting those, whom like Rani, are taking concrete action aimed at permanent and sustainable change” says Romy Hawatt – Founding Member – Global Sustainability Network ( GSN ). In 2010, the General Assembly adopted the Global Plan of Action to Combat Trafficking in Persons, which urges governments around the world, as well as the UN’s programs to integrate and encourage integrate human trafficking awareness, security, and an establishment of a trust fund for victims of trafficking. In 2014, the UNDOC and world leaders spread the awareness of human trafficking and slavery through social media campaigns and other events that engaged the community and the world, Continuing to 2015, the 2030 Sustainable Development Agenda was adopted by the world and embraced goals that targeted the eradicated of modern day slavery. Target 8.7 of the Agenda commits States to take strong, immediate measures to eradicate forced labor in all its forms. In 2016, the Group of Friends United against Human Trafficking collaborated with the UNDOC and the Tronie Foundation organized a high-level event to discuss the topic of slavery and the eradication of the issue. Following up in 2017, the Trust Fund created for victims of human trafficking showed that it had produced positive and hopeful results, assisting an average of 2,500 victims per year. The Global Sustainability Network ( GSN ) is a network of over 700 global change-makers across the Government, Business, Faith, Media, Community & NGOs and Academia sectors committed to achieving Goal 8 ( with special emphasis on Goal 8.7 of tackling Modern Day Slavery and Human Trafficking ) of the United Nations 17 Sustainability Goals. The Tronie Foundation is an organization that mentors survivors of slavery to both help them become leaders and empower them to work with global leaders in the movement to end human trafficking. The organization was co-founded by Rani and Trong Hong, both survivors of child trafficking and two of the world’s leading voices in the fight against modern-day slavery. For more information please visit www.troniefoundation.org and follow us on Twitter @RanisVoice.